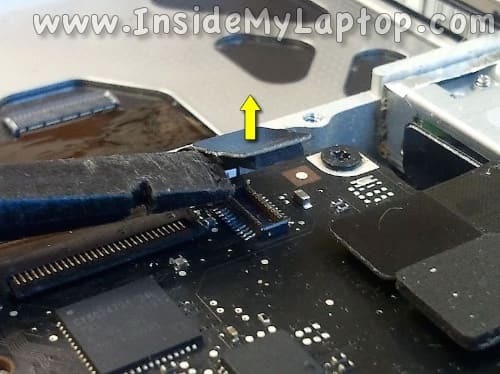 If a MacBook Pro trackpad stopped clicking there are a few things you can try to troubleshoot and repair the problem. Let’s go thought the troubleshooting techniques step by step. 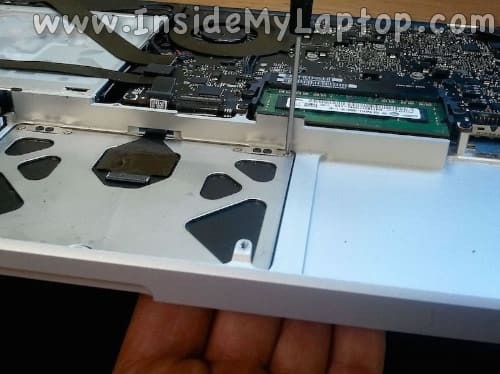 In order to check the battery you will have to remove it from the laptop. Usually there are two or three screws securing it to the case. These screws are Y shaped. You need a special tri-wing screwdriver. You can try removing these screws with a small flat head screwdriver. A Wiha 1.5×40 slotted screwdriver worked for me. It fitted into two out of three wings and I was able to remove both screws. 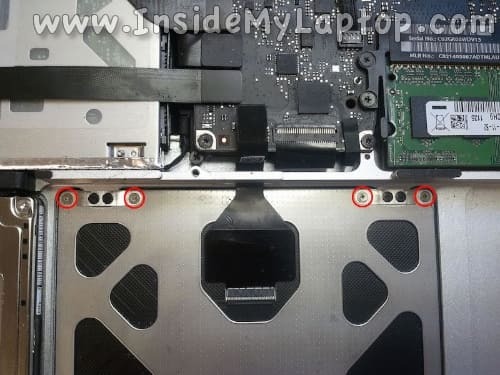 Unplug the battery connector from the logic board using a plastic stick or finger nails. 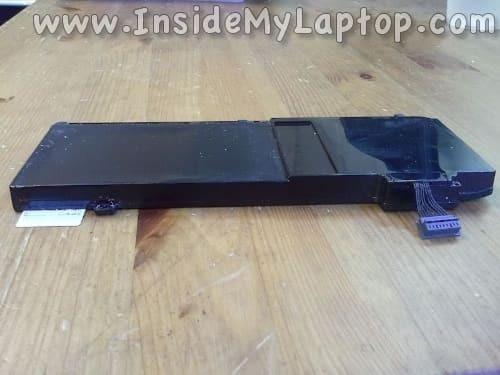 Remove the battery from the laptop and place it on a flat surface. Check if the battery appears to be thicker than it should be. When a MacBook Pro battery fails, in some cases it stars swelling. 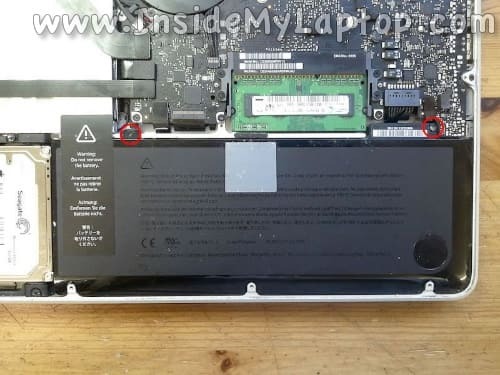 If a swollen battery located inside the laptop, it pushes on the bottom side of the trackpad and it stops clicking properly. Remove the swollen battery and test if the trackpads clicks normally after that. If it does, replace the battery. 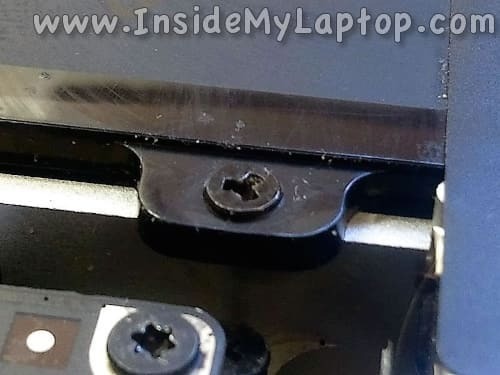 If the trackpad still doesn’t click, even after removing the battery, try adjusting the screw shown on the following picture. You’ll need a T6 torx screwdriver for that. Turning the screw counterclockwise will loosen the trackpad. Turning it clockwise will tighten the trackpad. 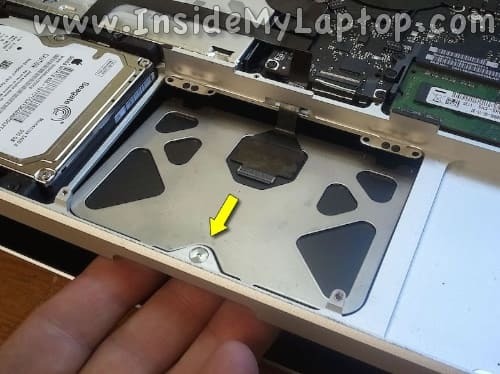 Place your MacBook Pro on one of the sides and continue clicking on the trackpad while adjusting the screw. Find the position that works best for you. If the trackpad still doesn’t click, even after removing the battery and adjusting the screw, most likely it failed and has to be replaced. You can find new replacement trackpads on eBay or Amazon. Here’s the removal and replacement procedure. 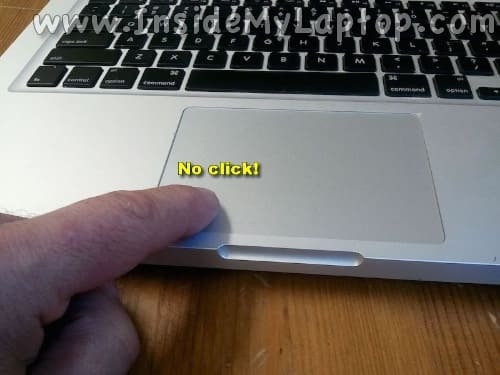 By the way, if you have MacBook Air, check out this trackpad replacement guide. 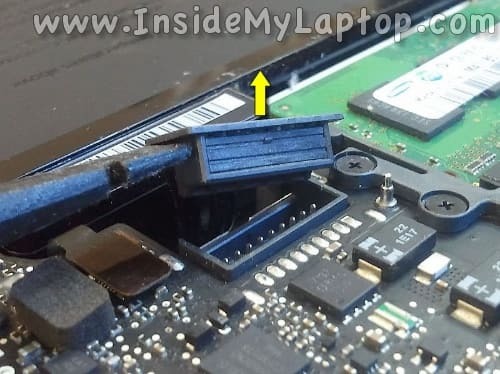 Carefully disconnect the trackpad cable using a plastic stick or finger nails. You will need a small and sharp Phillips screwdriver. These screws are very small and easy to strip. I’m using a Wiha precision screwdriver, Phillips #00. 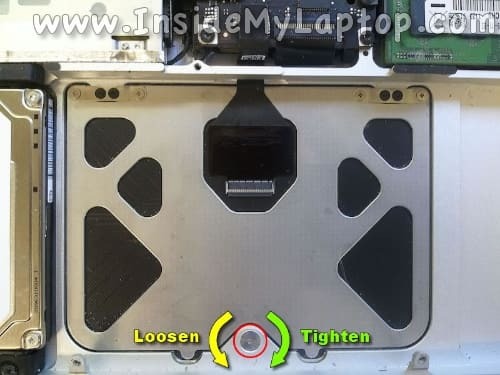 While removing the screws, support the trackpad on the bottom with your fingers. After all screws are removed, lower one part of the trackpad and slide it to the shown direction to separate from the palm rest. Pull the cable though the opening in the case. Remove the failed trackpad and replace it with a new one. Start the re-assembly process with inserting the trackpad cable back in place. You can guide the connector using a small flathead screwdriver. Install the trackpad back in place. Secure it with four silver screws but do not tighten them up yet. 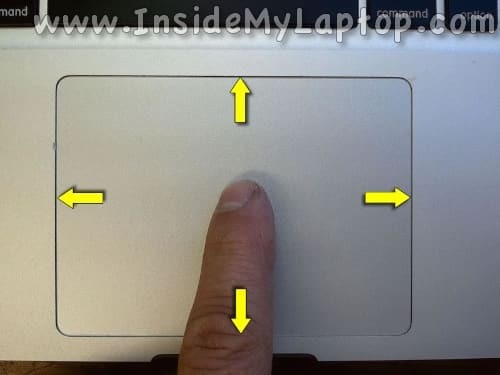 Turn the MacBook Pro over and adjust the position of the trackpad. Make sure all gaps between the trackpad and palm rest are equal. After it seated properly, you can tighten up four silver screws on the other side. 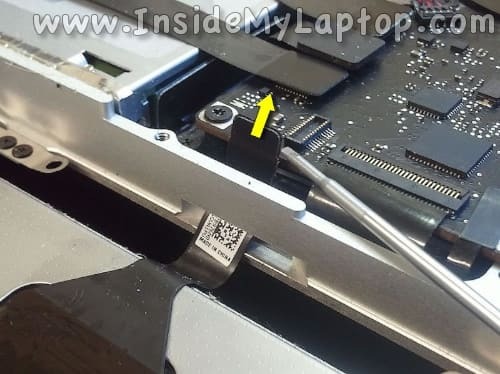 It might be necessary to adjust the new trackpad screw as mentioned earlier. Finally, install the battery back in place, secure it and connect to the logic board. Great walk through! My battery is swollen just as you described, time for a new one. Nice guide. Does the Hex 6 screw come out? I received a new one with my TrackPad replacement that I ordered. Just want to know if the Hex 6 does indeed come out. I’m going to use metal glue to get the stripped Hex 6 that I have installed and replace it with the new one. Any suggestions or advice. BTW nice guide. Does the Hex 6 screw come out? I received a new one with my TrackPad replacement that I ordered. Just want to know if the Hex 6 does indeed come out. Yes, you can remove the old screw and replace it with a new one but… I never do. I leave the old on in place and replace just the trackpad. Hey, i have a few questions. Sorry. I really love my mac book pro 13 inch, it has all my music i use to DJing. 1st question, I am having trouble trying to find the right battery, and unsure which is the correct one for my mac. The serial number on hardware just tells me 13 inch, mid 2009. Can you help? 2nd question: With my mac book pro, can i use an SSD drive or would it not be able to work with 10.5.8 ? Thank you. Thank you for the excellent article. Going to replace battery (maybe the trackpad) and save myself hundreds of dollars. You need to install a “tip jar” for your website…I’d throw some cash in there as a thank you! I’ve been dealing with a spotty trackpad for 2+ years now and had resorted to just using the ‘tap’ to touch feature found under system preferences>trackpad. 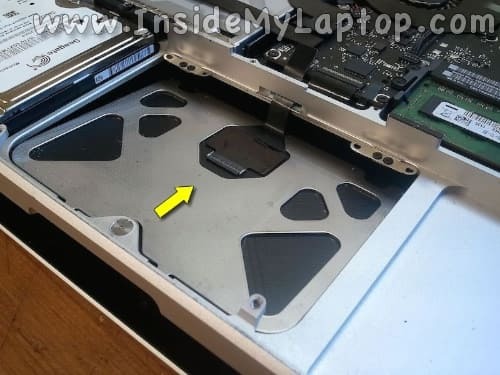 I stumbled across this post just today and after adjusting the screw found in step 2 above my trackpad works again!! Thank you so much. I just loosened the screw very slightly and it works like new again. In windows 10 on macbookpro when trackpad doesn’t work i solved simply going to start – control panel – found and solve problems, a few time and all work fine. Regarding method #2 (wrongly adjusted trackpad screw): note that you have to adjust the screw in very small increments. Too much one way or the other, and it won’t help.